Well placed seat walls are a simple and low cost way to incorporate a focal point that also serves as an entertaining area, as well as a showcase for design materials such as natural stone, into any outdoor garden space. When designing outdoor space for entertaining, one of the first things we do is divide the space into outdoor rooms. One terrific way to create the feeling of different rooms or spaces is to create varying levels in the yards. 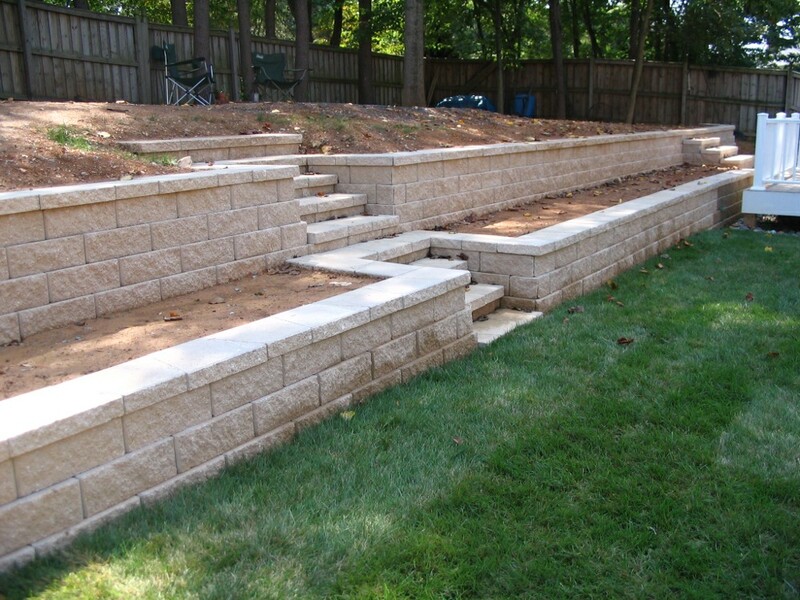 We accomplish this by using a series of cast concrete steps and low retaining walls designed at seat height. The placement of seat walls in the garden can create great focal points. Use these low, unobtrusive walls to surround and highlight a fountain or favorite water feature, create a raised tree planter or add substantial seating area for entertaining guests. The Earthscape Company will help you design and create a sitting wall that perfectly compliments your home.